Hey everyone! I don’t know about you, but I absolutely love reading the High/Low article in my HGTV magazine every month. As someone who is ALWAYS on a budget, it’s great to see that you can really get that high-priced look and still save some money! There are a lot of times when I also like the lower-priced options better than the higher-priced, which is definitely a win in my book. 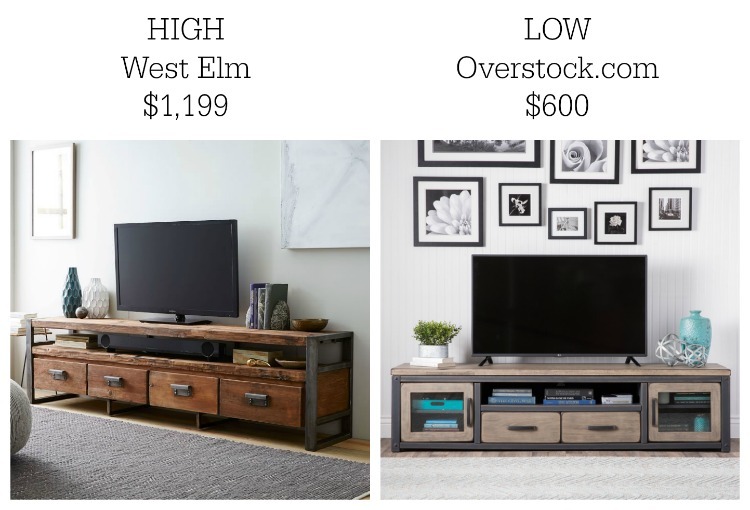 Today, I’m partnering with Overstock.com to share with you how to furnish your living room on a budget by comparing items I found on Overstock.com with their higher-priced counterparts. 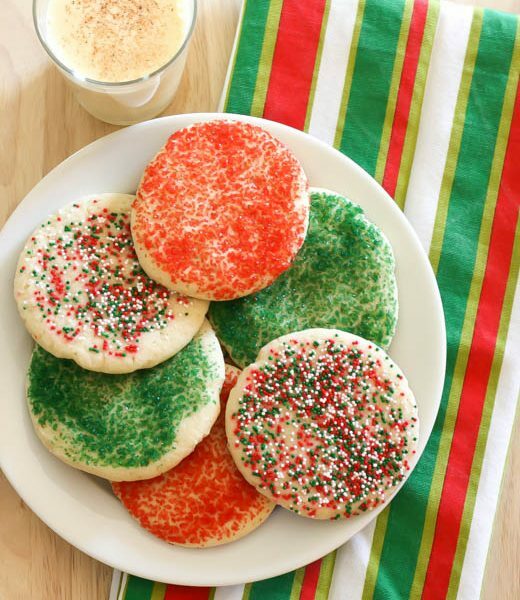 Since Overstock.com has just about anything you can think of on their site, it’s pretty much a one-stop-shop for all of your home, wardrobe, travel, and gift-giving needs! I’ve included affiliate links to the products I’m sharing for your convenience. If you purchase any of the products listed, I will receive a small commission at no extra cost to you. Let’s get started, shall we? Every living room needs a great sofa. I personally am a HUGE fan of leather. With two growing boys and two dogs, I need something that can be cleaned easily and that is durable. This sofa from Pottery Barn is gorgeous, but you can get the SAME look and great quality sofa from Overstock.com for nearly half the price! Adding an area rug to any room can completely transform the look and make any space feel warmer and more inviting. 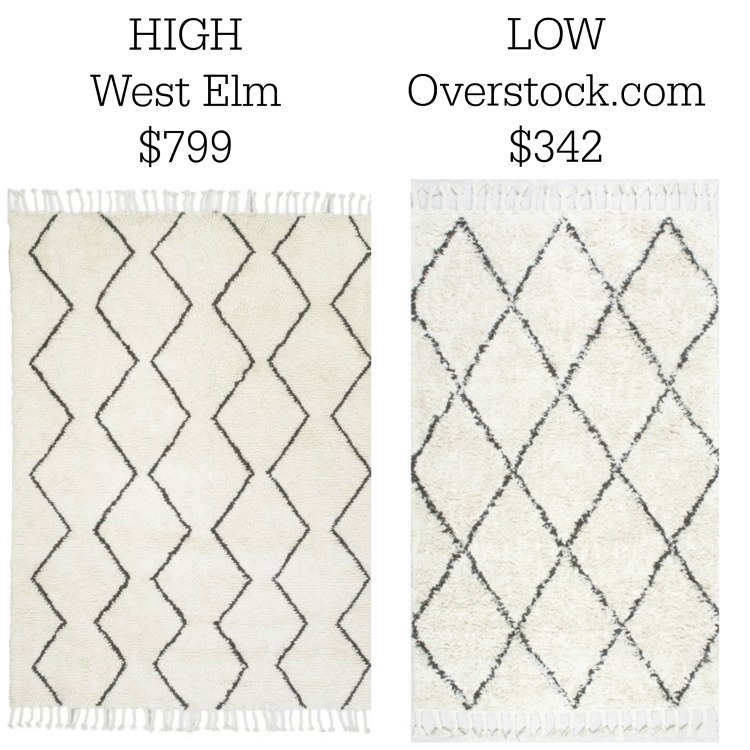 I’ve always loved the look of Moroccan rugs, like this one from West Elm, but I found one on Overstock.com that I like even better for half the price! Are you loving the rustic industrial trend right now? 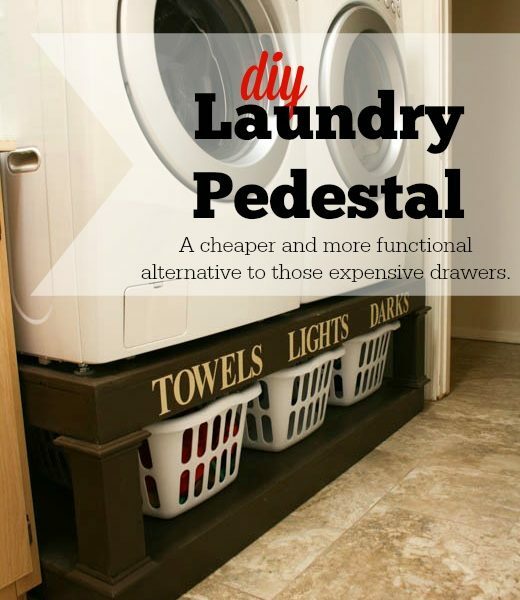 I definitely am and am trying to find budget-friendly options to incorporate it into my home. This Pottery Barn end table is beautiful, but for less money you can get TWO end tables from Overstock.com. 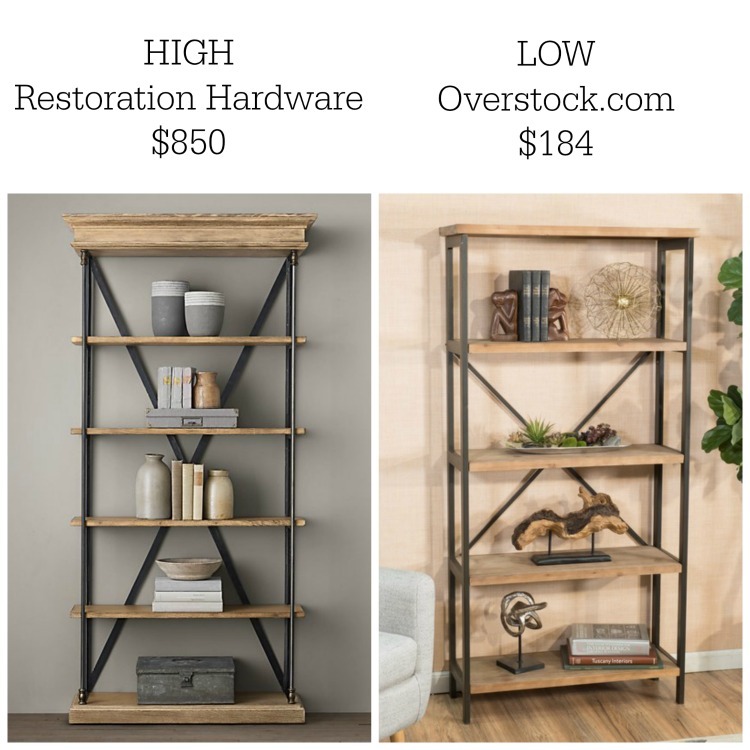 I love that the tables from Overstock also have a bottom shelf for more storage and you can choose between three finishes! Floor lamps are another great addition to a living room that not only add a decorative element, but also a highly functional element for added light. This Restoration Hardware lamp is made to look like an old surveyor’s tripod. 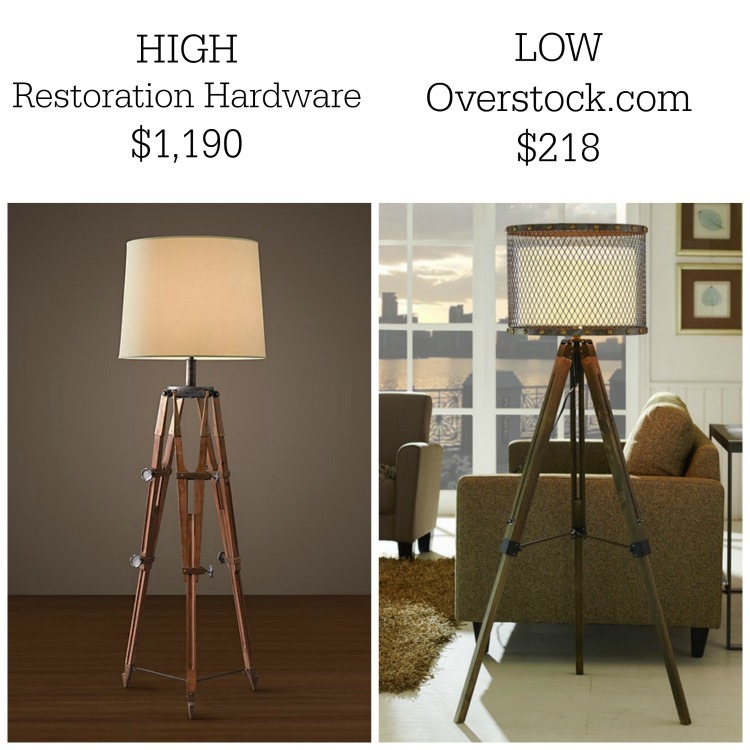 The Overstock.com version has a similar look, made with wood and metal, but my favorite part has to be the mesh lampshade! This Restoration Hardware book shelf has a rustic french feel to it. 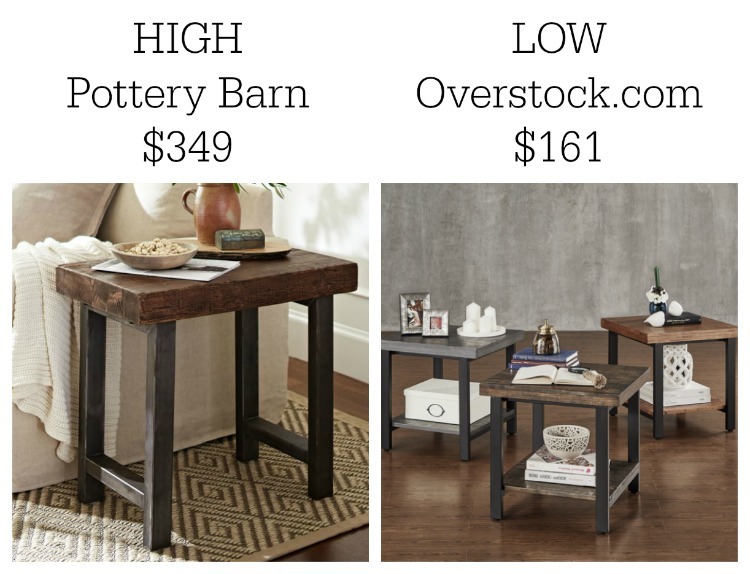 The Overstock.com version shares a similar look, but without the similar price! The light oak finish is beautiful and ties in well with so many different types of decor. Both of these media consoles will store all of your TV and stereo components, and fit in well with a modern or industrial look. The West Elm version has open shelving and four drawers for storage while the Overstock.com version is half the price and also has open shelving and drawers, plus two cabinet doors for additional hidden storage. Ottomans are one of those pieces of furniture that can play double-duty as a place to kick up your feet after a long day or you can use them as a coffee table. 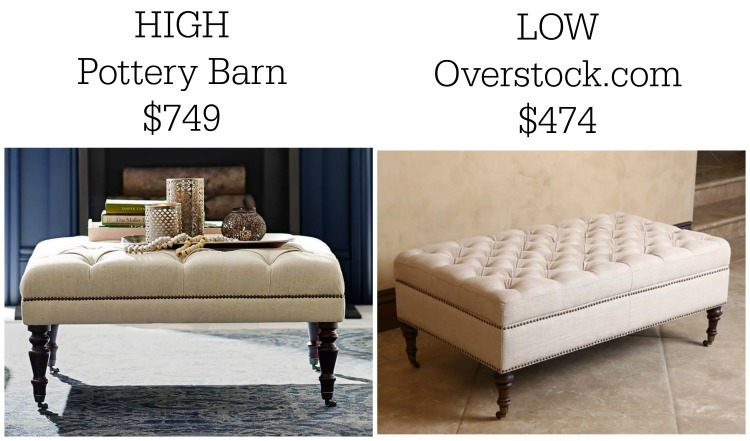 This Pottery Barn version is definitely beautiful, but the Overstock.com ottoman not only has a nearly identical look, but it also has hidden storage! 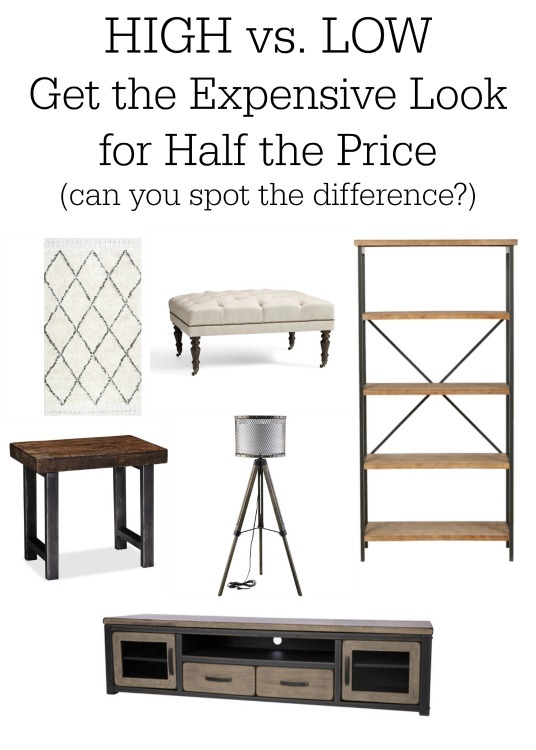 Can you believe the differences in price on items that are so similar? Not only would you have to shop at several different stores to furnish a living room with the items on the “high” list, but you’d be spending over $8200! For the virtually the exact same look, you can shop for all of the furniture pieces from ONE place and spend about $3400! That’s a huge savings, and you get free shipping! I don’t know about you, but I certainly know which option I’d choose. I’d love to replace the 12 year old leather sofas in our great room and knowing that I can find them so affordable on Overstock makes the decision so much easier to make! DISCLOSURE: I was provided compensation for this post; however, all opinions and ideas are 100% my own. Please see my full disclosure statement for more information. 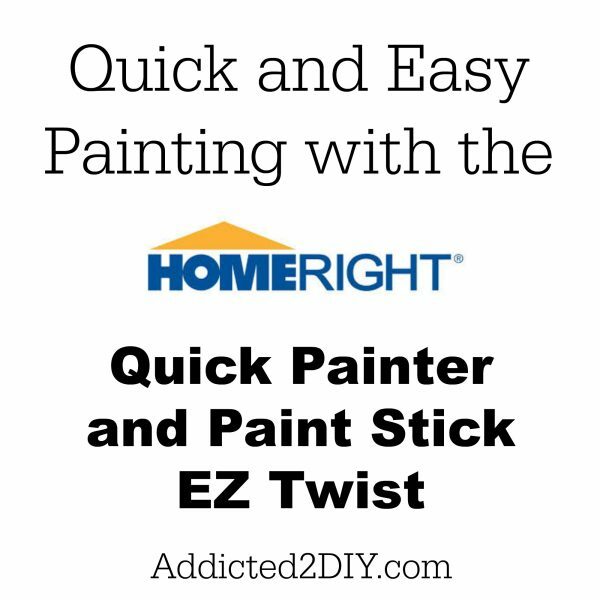 previous article: 3 Year Blogiversary and a $300 RYOBI Power Tools Giveaway!!! Love this type of information. I think a great majority of the average diy decorators are looking for this information and can’t afford $4000 for sofas or $800 for an ottoman. 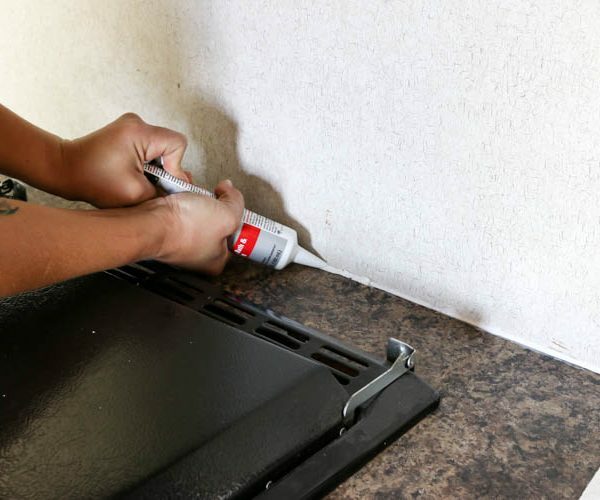 You are helping to make homes beautiful for people on a Budget!